Please feel free to e-mail me with any comments, questions, or ideas. 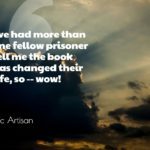 Eric Artisan is a contemporary artist, writer and book lover. He currently lives in Texas. But first he must right the wrongs of countless past lives and obtain forgiveness from those who would continue to pull him back to Earth. With his soulmate, Erin, he works to complete his goal, as well as discover a long-lost treasure. However, in the process, some lives are destroyed in order to be "saved." NOT A BELIEVER? YOU WILL BE ... IN THE END. 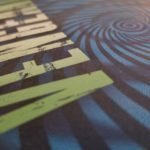 This highly original, genre-bending novel deftly blends ratcheted suspense with a deeply spiritual message. 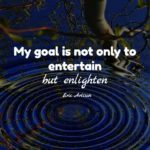 As Artisan says, "It's my goal not only to entertain but enlighten, and perhaps inspire some debate." 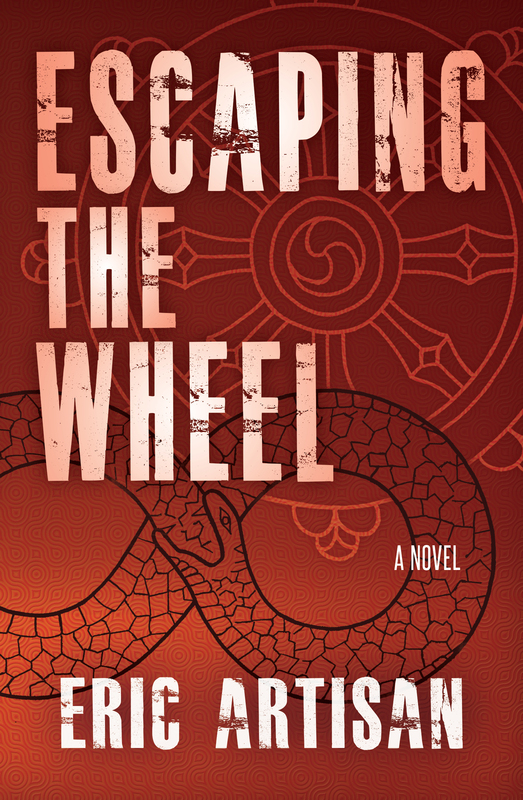 Recognized as a 2014 Forward Reviews INDIEFAB Book of the Year Award Finalist, a 2015 Next Generation Indie Book Award Finalist, and an Eric Hoffer Book Award Winner and Finalist, Escaping the Wheel deserves to be read. Add it to your own shelf and see why others are calling it a "modern-day classic" and a "must read of contemporary spirituality." "Without a question, my new favorite book!" 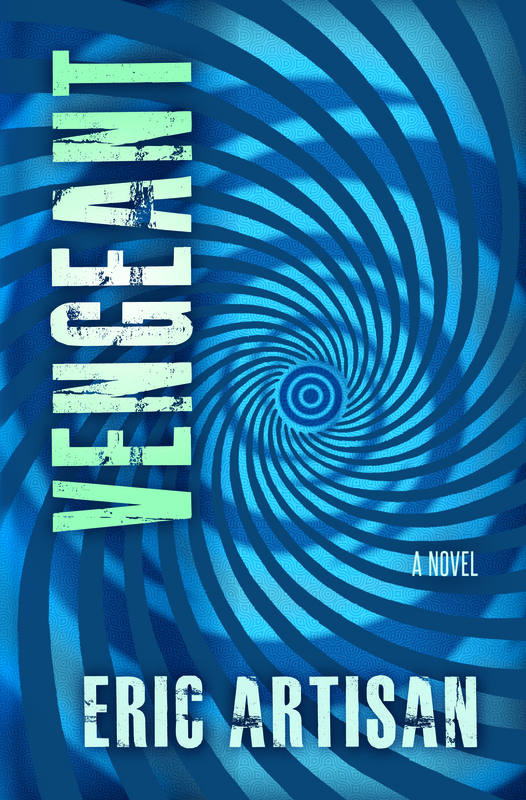 "Thrilling, thought provoking, extremely well written." "Different than anything I have ever read." and in the death of one he loved. But with no memory of what really happened, or who the real killer may be. Only the choices he makes now will determine his fate... and reveal the truth. In this book about choice (which we always have), Eric takes us brilliantly from our base humanity to our divine self instantly just as we do in our lives...in our thoughts. No matter how much we may want to hide those thoughts, they are there for us to conquer moment by moment which he brings out beautifully over and over just as life is. 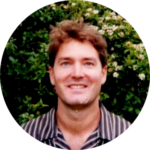 Eric seems to have a real sensitivity and willingness to look at and explore the very low hertzian part of our humanity and then show us how to conquer it with science and metaphysics ...ie knowledge...all in split seconds which is the time we live in. 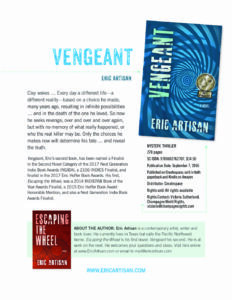 Eric Artisan has a fascinating mind. 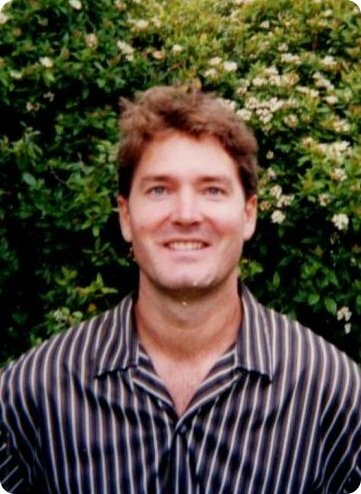 He weaves concepts of new science and reincarnation into a unique plot line to make them fully accessible to all readers. It is a cautionary tale with an ending that takes the reader totally by surprise. It was a page turner. There are points of violence in the book, but these are seminal to the point that the book makes. I highly recommend this read to people interested in exploring ideas outside the box of accepted reality. All Thoughts Matter so what matters are the wisdom you gain through choices. This is a book that kept me on the edge of my seat and my face buried in it - so desirous of gaining closure! This is a well written story In which its potentials could go in any direction. I love it! My hope is to impact my readers. 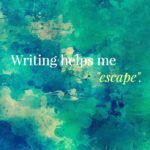 What inspires me to keep writing? So grateful for the responses from my readers! 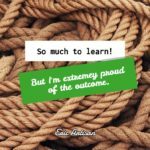 Become an Eric Artisan subscriber! Join my mailing list to receive the latest messages and updates from me.